Simple property with amazing views and great pool. A simple property but clean and comfortable. Good showers, comfortable beds. Cool pool! Also easy access to Pisa on the train and beautiful Tuscan countryside by car. Drive further south to Follonica for a good beach. Add good company, food and (local) wine and you have everything you could possibly need. Wonderful house! The house has everything you need. Clean and large swimming pool. Marco helped in solving all the problems. Thanks Marco and his family! Thanks Larisa, you too are great guests ... see you soon. "very quit and nice house with enough privacy. very nice owner who is allways ready for help if needed. allways good communication and very helpfull towards certain needs." "It was great holliday. 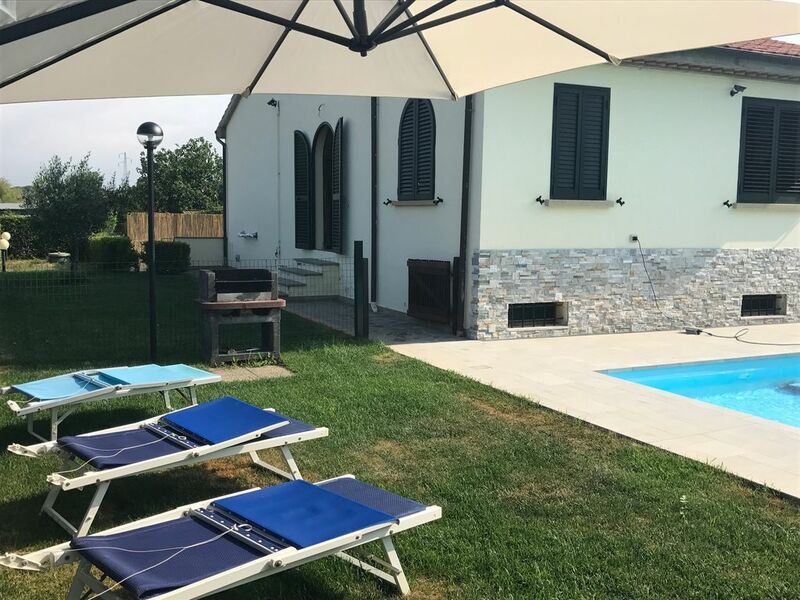 Villa Athena is comfortable and it has everything what you need. The most fascinated thing in this accomodation is nice and big swimming pool." "Fantastic villa in a quiet location! Very friendly owners." "The House was in excellent condition and all needs catered for. the pool was a good size and well maintained. The location of the property suited our needs exactly as it was only a short distance from the town and the beach.The owner was very helpful and even met us at 12.30am to give us the keys"
(Text automatically translated) The house is great for six adults plus' two children, but if necessary also 7 adults with a sofa bed. There are two bedrooms on the ground floor, double and twin and a double bed in the attic with private bathroom.